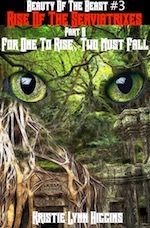 "New Cover" Beauty Of The Beast #3 Rise Of The Serviatrixes- Part B: For One To Rise, Two Must Fall. Coming Soon. I am announcing a new notification list for my books. I will be transferring everyone over. No need to re-signup but for those who are new, here is the signup form to be notified of upcoming releases and other new. Just enter your email below and hit your keyboard's enter or return button. AabiLynn's Dragon Rite might be coming to an end, but Cara and her story continues in AabiLynn's Test Of Dragons, Test Of Swords. CLICK HERE to see the series so far. Preorder Aabilynn's Test Of Dragons #1 for "FREE" from Google and B&N by Clicking Here. The final Dragon Rite book is here and ready for preorder. CLICK HERE. Grab the two Halloween Special Editions for the Monster of Monster series for "FREE" and start reading the series with a lot of monsters and a lot of heart. Click Here. I have two Halloween Special Editions releasing next month. Monster of Monsters #1 Part One: Mortem's Opening & Part Two: Mortem's Contestant. They release October 2, 2018. Preorder your copies from Google and Barnes and Noble for "FREE". Click Here. Pre-order Monster of Monsters #1 Part Five, Six, & Seven. All three books release September 25, 2018. 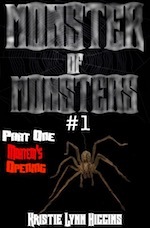 I have started working on the next stories for the Monster of Monsters ebook series. I hope to release the novels by October 31, 2018. Read the first two stories for free and catch up on this Science Fiction Horror Action Adventure series where a deadly game called the Mortem threatens to claim all souls. Click Here. NEW! 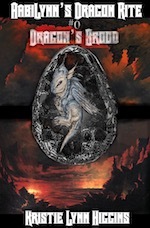 I'm beta testing free to read online novels, short stories, and other books and have started with the fantasy action adventure AabiLynn's Dragon Rite #0 Dragon's Brood. Click here to start reading for "FREE". Preorder AaBack's Grimm #4 and AaBack's Grimm #5. Both books release June 18, 2018. The latest Shades of Gray to release May 2018. The next installment of AabiLynn's Dragon Rite is here! Ebook releases November 24, 2017. Preorder it today from Amazon, Apple, Google, and Kobo. Click Here. It's been ten years since Beauty of the Beast #1 was released as an ebook, so I've come out with a 10th Anniversary Edition. You can pre-order it for FREE at Google. The ebook releases November 1, 2017. Click Here. Well, it's been ten years since Shades of Gray #1 was released as an ebook, so I've come out with a 10th Anniversary Edition. You can pre-order it for FREE at Google. The ebook releases October 25, 2017. Click Here. I and my family are safe after Hurricane Irma with very minor damage. I was unable to work for about a week on my stories, so I'll keep you all up to date if this will affect any of the release of my upcoming projects. Continue to pray for all those affected by the hurricanes as cleanup and restoration will take weeks to months. Hurricane Irma can effect release dates depending on if my area is affected by power outtages or other unforeseen issues for all upcoming projects including the Shades of Gray Flash Fiction pieces. Let's keep all of Florida, Georgia, and any other state in its path in our prayers as the Hurricane approaches and let us also keep those affected by Hurrican Harvey also in our prayers. There will be two installments for the next release of the Beauty of the Beast series by October 2017. 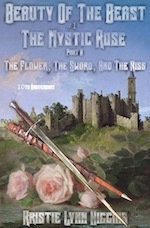 Download the first story of this fantasy action adventure series for FREE 'Beauty of the Beast #1 The Mystic Rose- Part A: The Flower, The Sword, And The Kiss. CLICK HERE. Shades of Gray Flash Fiction (Click Here) launches on Amazon Kindle Unlimited on August 14, 2017 and is exclusively on Amazon. The new short fiction series will start with 'Sphinx Corporation Files: Pandora Project #1'. 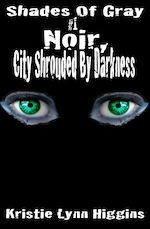 This short story will be "FREE" on Amazon August 15, August 16, August 17, August 18, and August 19. 'Sphinx Corporation Files: The Phoenix #1' launches on Amazon Kindle Unlimited on August 19, 2017 and the short short will be "FREE" August 20, August 21, August 22, August 23, and August 24. Click Here to find the links to the new Shades of Gray Flash Fiction, very short reads to tickle your imagination. I have started working on the next installment of Beauty. It should be out by December 2017. A brand new series launches July 28, 2017. The series is called Monster of Monsters. Find out more about this science fiction horror series by Clicking Here. First two ebooks will be FREE at most stores. 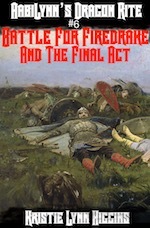 Presale of #20 Shades of Gray: Last Act Of Revenge: Pale Horse goes of sale. Grab your ebook from Amazon, Apple iTunes, Barnes & Noble, and Google Play. SOG20 releases February 24, 2017. Click Here. Slice Of The SciFi Life is live on YouTube with its first video and more. CLICK HERE to check out these cheesy science fiction videos. Cheesy video show is announced to start in October 2016. The video will appear on YouTube and will be science fiction in nature. July 22, 2016 Companion Guide: The Rogue releases. Grab your free copy Click Here. ALL Companion Guides FREE to READ on Kindle Unlimited. July 18, 2016 Companion Guide: The Phoenix has released. Grab your free copy Click Here. Companion Guides have launched. Grab your free copy by clicking here. Preorder AabiLynn's Dragon Rite #4 at Amazon and Google Play. Ebook releases May 30, 2016. Click Here. Preorder #19 Shades of Gray: Seeking The Heart Of Revenge: Annihilate Their Faith. The next installment in the Shades of Gray series releases April 29, 2016. Click here. Shunned: Dragon's Cord #1 and #2 now available for sale. Pre-sale of Shunned: Dragon's Cord #1. It and Shunned: Dragon's Cord #2 releases January 21, 2016. Based on the Shunned short story series. Click here to order. Pre-sale of Beauty Of The Beast #2 Daughter Of A King: Part B: Serviatrix's Flight And Shadows Revealed. The ebook releases December 25, 2015. Click here to order. Pre-sale of #18 Shades of Gray is now available. The ebook releases November 26, 2015. Click here to order. Now read AaBack's Grimm #1 and #2 for FREE. Ebooks are avaliable on Amazon Kindle, Apple iBook and iTunes iPhone, Barnes and Noble Nook, Google Play Android, Kobo.com, Scribd.com, Smashwords.com, and other stores just CLICK HERE to start the series for "FREE". Ebook is avaliable on Amazon Kindle, Apple iBook and iTunes iPhone, Barnes and Noble Nook, Google Play Android, Kobo.com, Scribd.com, Smashwords.com, and other stores just CLICK HERE to start the series for "FREE". 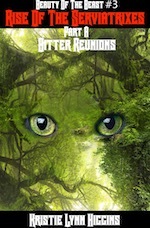 A new fantasy series based on the Grimm short stories series is coming soon. #17 Shades of Gray: Craft of Revenge: Destroy Those They Love official release date has been set for June 27, 2015. Click here to pre-order. AabiLynn's Dragon Rite #3 Magic As Sharp As Swords releases. Clicking Here to purchase. #17 Shades of Gray: Craft of Revenge: Destroy Those They Love available for pre-order. Click here to order. 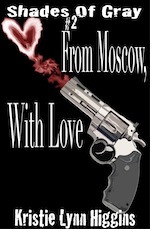 #2 Shades of Gray: From Moscow, With Love is now FREE to read. 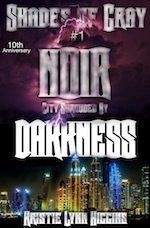 Start this series with #1 Shades of Gray: Noir, City Shrouded By Darkness for free and enjoy the next book also. Start reading now Click Here to start reading one of these ebooks. AabiLynn's Dragon Rite #3 Magic As Sharp As Swords releases April 30, 2015. Preorder it now by Clicking Here. #16 Shades of Gray releases. #16 Shades of Gray: Precept of the Assassins Guild- Edge Of The Dagger releases January 31,2015. Preorder it now by Clicking Here. AabiLynn's Dragon Rite Series avaliable at all stores on January 14, 2015. Preorder them now by Clicking Here. #15 Shades of Gray goes on presale today. Click here to see what stores have it. September 15 release date. Read as many of my ebooks as you can for free. #14 Shades of Gray has been released. Click the link to the left to view in on Amazon.com or click here to view other stores. #13 Shades of Gray has been released. Click the link to the left to view it on Amazon.com or click here to view other stores. Ayann, A Fantasy Action Adventure #1 Broken Sword In Dragon Dungeon novella has been released. Click the link to the left to view it on Amazon.com or click here to view other stores. Shades of Gray #13 Creed of the Assassins' Guild-Blade Of The Dagger will release in December 2013. The next four books in the Shades of Gray series are #13 Creed of the Assassins' Guild-Blade Of The Dagger, #14 Axiom of the Assassins Guild-Steel Of The Dagger, #15 Motto of the Assassins Guild-Hilt Of The Dagger, and #16 Precept of the Assassins Guild-Edge Of The Dagger. Shades of Gray #12 has been released. Click here to select your preferred bookstore. Shades of Gray #11 Woe To The One Who Has Held His Heart's Tongue has been released. Click here to select your preferred bookstore to read the next exciting installment of the series. Click on a cover below to read for free short stories, novellas, and novels ranging from science fiction, fantasy, and horror. Download ebooks for free from stores like Amazon Kindle, Apple iTunes iBooks, Barnes and Noble Nook, Google Play, Kobo, and more. FREE ebooks to download and read. These free novels, short stories, novellas, and other books are free and a great way to check out my tales and see which series you'll enjoy. Start one or all of my five series for "FREE" by clicking one of the covers above. Ebooks are available at these book stores: Amazon Kindle, Apple iBooks iTunes store, Barnes and Noble Nook, Google Play, Kobo, Scribd.com, and Smashwords. Indy published books, novels, novellas, and short stories. Indy published ebooks. All novels and short stories are available on Amazon Kindle, Apple iBook, Apple iTunes Store, Barnes and Noble Nook, Google Play, Google Store, Kobo.com, Scribd.com, Smashwords.com, and other stores. Check out my free Science Fiction ebooks, free Horror ebooks, free Fantasy ebooks, and free action adventure ebooks.